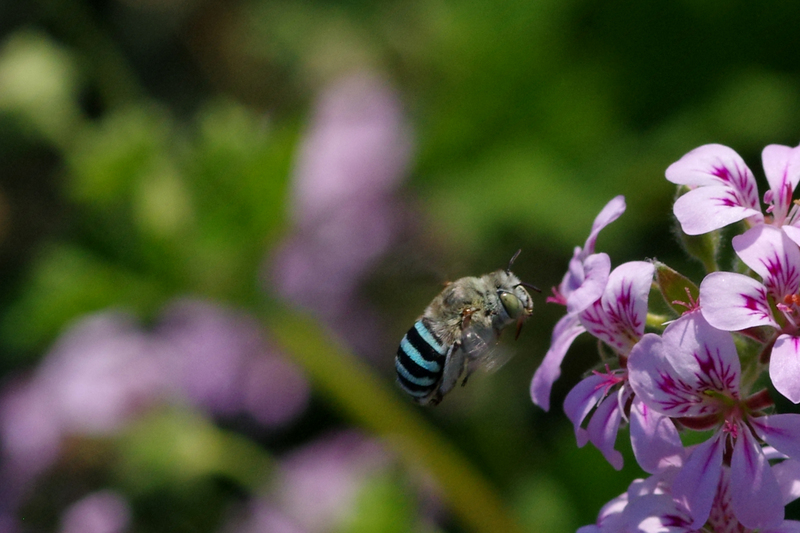 Blue banded bee. Photo by Luis Mata. All urban environmental research, policy and practices occur on and in Aboriginal Country. A key challenge for urban practitioners and researchers is to respond meaningfully to the expectations, rights and aspirations of Indigenous people and communities in cities. Presented by Indigenous researchers and advisory members of the National Environmental Science Program, this panel discussion will explore a range of questions about the significance of nature in cities—including threatened species—for maintaining a connection to Country. Considering ways to better incorporate Indigenous values and knowledge of biodiversity into urban design and management, this dynamic conversation will draw on traditional methods as a pathway to improving the liveability and conservation value of urban landscapes. This event, facilitated by Maddison Miller, will start with a special performance by the Djirri Djirri Dance Group. Speakers include: Bradley Moggridge—Kamilaroi man, hydrogeologist and Indigenous liaison officer with the Threatened Species Hub; Maddison Miller—Darug woman, archaeologist and co-chair of the Indigenous Advisory Group to the Clean Air and Urban Landscape Hub; Rueben Berg—Gunditjmara man, managing director of RJHB Consulting and founder of Indigenous Architecture and Design Victoria (IADV); and Mandy Nicholson – Wurundjeri, Dja Dja wurrung and Ngurai-illum wurrung woman, PhD candidate and manager of Djirri Djirri Dance Group.